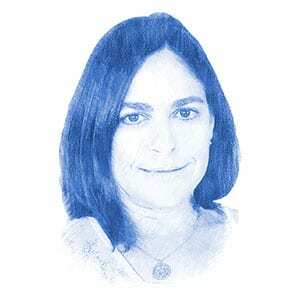 Caroline Glick, Author at Breaking Israel News | Latest News. Biblical Perspective. The New York Times has never been a big fan of Israel, or non-assimilated and non-leftist Jews for that matter. It has been my conviction to use my pen, keyboard and voice to shape and expand Israel’s maneuver room. Why Should Israelis Vote if their Vote is Meaningless? The question is how will the attorney-general’s decision on Netanyahu’s indictment impact his ability to govern in accordance with the will of the voters. On its face, Trump’s announcement that he is pulling US forces out of Syria seems like an unfriendly act toward Israel. But it isn’t. Articles What is the U.S. Policy Towards Lebanon? Both the narrow approach and the wide-lens approach to Hezbollah are fraught with risks. But if the regional approach works, it could collapse Hezbollah while averting a devastating war. The Left’s identity politics are becoming curiouser and curiouser for Jews. Israel has no written constitution – but all the same, it is steeped in a deep and dangerous constitutional crisis. Airbnb’s partial boycott of Israel last week came just as the Arab world, Africa, and Eastern Europe moved closer to the Jewish state. Abbas was similarly blindsided by Prime Minister Binyamin Netanyahu’s visit to Oman, and Minister of Culture and Sports Miri Regev’s visit to Abu Dhabi for the world judo championships. French President Emmanuel Macron has apparently decided that with his approval ratings in the toilet, his best bet for a political resurgence is to attack the United States. Winners don’t quit. Losers do. Until Tuesday’s election, Never Trump Republicans held the balance of power in the Senate. They no longer do. Trump now can trust the support of a secure majority of senators for his appointments.